Should I Repair or Replace the HVAC Unit? Repair or Replace the HVAC… that is the Question! Most folks feel that when their HVAC unit breaks down, it will be a simple fix. One that will only be $100-$200 repair. And while that may be the case sometimes, it is rarely the true. Most HVAC repairs come with a pretty hefty repair bill. So how do you know when you need to repair it and when you need to just replace the HVAC system in your home? This is where having that right of information comes in handy for you as the homeowner. Knowing what questions to ask can save you a lot of time, frustration, and money. 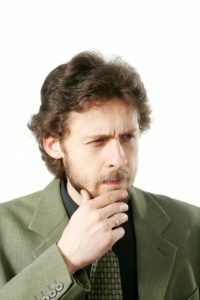 We show you a few of the questions to consider when you are decided whether to repair or replace the HVAC. The age of the HVAC unit plays a vital factor in the decision to repair or replace. You do not want to sink in hundreds or thousands of dollars into a unit that is over 15 years old. But on that same token, you do not want to ‘cry wolf’ and thing your unit needs to be replaced again if it is only a few years old. So for example, if your HVAC system is 14 years old and the estimate for repairing the system is $600, then the total is $8,400. It would probably be a good idea to replace the HVAC unit. There are some repairs that may need to be made that won’t fall under that rule. Replacing a bad contactor or capacitor would be a good example. These parts range anywhere between $15 to $85 and with labor, the bill would be around $150 – $400. Using the $5,000 rule & the same 14 year old unit, the total would be $5,600. But a contactor or capacitor is a small item that can be replaced quite simply and you would still have years left on your HVAC system. 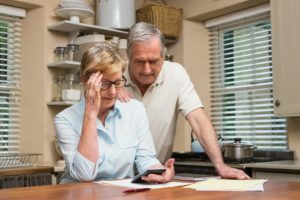 The $5,000 rule is a good ‘rule of thumb’ but look at all components prior to making the decision to repair or replace the HVAC. Before you decide to replace the HVAC, you want to check for any warranties on the system. 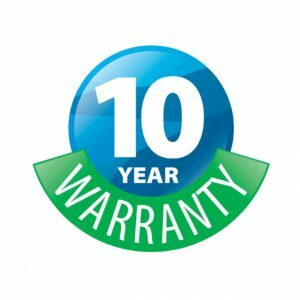 Most manufactures that make these HVAC Systems offer a 10 years parts warranty. This will cover most of the mechanical parts of the unit. If you have a gas furnace, those typically come with a 20 year warranty. Even if the repair is costly, if you are replacing a main component like a coil or a compressor, check your warranty, it may be covered! The only parts that are typically not covered are wear and tear items. Things like filters, belts, freon, and any parts that are a wear and tear part. Recent advances in air conditioning technology have vastly enhanced the energy efficiency of HVAC systems. It is recommended that you upgrade to an energy-efficient HVAC unit if your present central air conditioning system is over 10 years old. Numerous HVAC technicians state they usually suggest replacing units if they are over 15 years old. HVAC professionals say the typical lifespan of an air conditioner unit is around 14 years.